Last month Evergreen shut down a U.S. plant and laid off 800 people; this month, a bond offering turns sour. We've followed the travails of Evergreen Solar (NasdaqCM: ESLRD) over the last year -- and it hasn't been pretty. They've had warnings from Nasdaq over delisting, painful debt restructuring plans and numerous successive money-losing quarters. The firm lost $54 million through the first nine months of 2010. Last month's news from the company was that they were closing down the Devens plant in Massachusetts. That represented a loss of 800 manufacturing jobs, a substantial portion of the company's workforce, in an already painful economy and jobs market. It was also a black eye for the state and the decision-making process that provided $58 million in state aid to the firm. Admittedly, the state's intentions were pure -- Massachusetts wanted to foster the growth of green manufacturing jobs. And this week, the company's stock price hit its lowest value in more than ten years after investors essentially ignored a bond exchange offer. The company's stock is trading at $2.00 per share and the firm now has a market capitalization of $69.6 million. This comes after a recent 1-for-6 reverse stock split. Evergreen was looking to exchange $200 million of the company's notes maturing in 2013 for new notes due seven years later but investors agreed to exchange only 23 percent ($45.4 million) of the targeted amount. Evergreen canceled another offer for $165 million of a different series of bonds due in 2015 because a minimum of $50 million was not tendered before the Feb. 11 deadline. 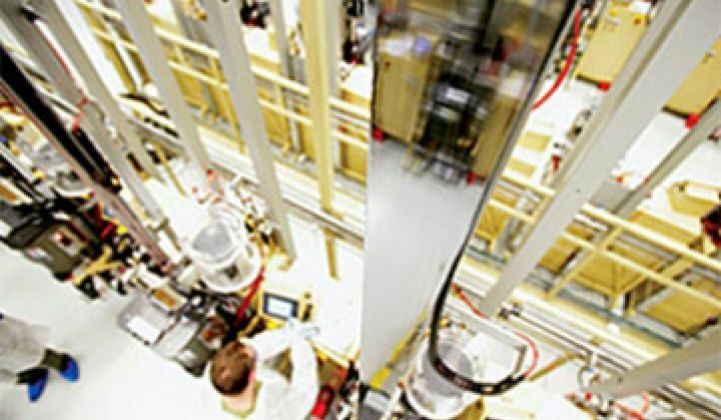 Michael El-Hillow, President and CEO of Evergreen Solar said in a statement, "We are obviously disappointed that we were not able to convince a larger number of our note holders to accept our offer, but we are still well positioned to execute our strategy of supplying the lowest cost industry-standard-sized wafers to the world's leading solar module manufacturers." The firm has an innovative "string-ribbon" silicon technology that significantly reduces the amount of silicon used in a solar panel. It's a formidable technology but it has been deployed in Massachusetts, a state with formidably high labor, energy and material costs. It's just about impossible to compete against China's silicon solar dragons like LDK, Yingli, JK Solar, SolarFun and Suntech from a module factory in New England. Evergreen's new strategy makes them a wafer manufacturer, rather than a PV module manufacturer, a decision that might keep them as a going concern. The company claimed in a presentation to investors last month that it will manufacture silicon wafers at a cost of 40 cents a watt in 2011, 27 percent less than the 55 cents a watt it estimates for makers of conventional wafers in China. Read on for a summary of the battered firm's recent history. The stock price of Evergreen Solar plummeted well below a dollar on news of a re-structuring plan to deal with its debt. The Massachusetts-based string-ribbon silicon wafer manufacturer remains faced with a delisting warning from NASDAQ from earlier this year. Evergreen Solar's Board of Directors approved a recapitalization plan earlier this week with the goal of reducing the company’s debt load and interest expense.